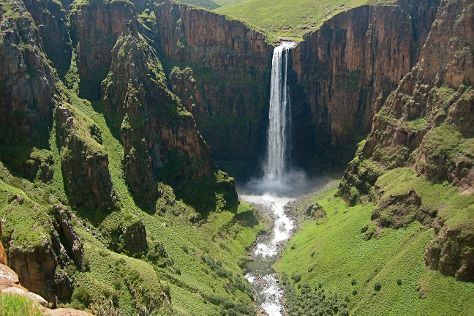 Explore Maseru's surroundings by going to Maletsunyane Falls (in Semonkong), Morija Museum & Archives (in Morija) and Gates of Paradise Pass (in Malealea). There's still lots to do: take in the awesome beauty at Maluti Mountains, contemplate the long history of Thaba-Bosiu National Monument, see human ingenuity at work at Mohale Dam, and try your luck at Lesotho Sun Casino. To find more things to do, where to stay, traveler tips, and more tourist information, go to the Maseru trip itinerary planner. London, UK to Maseru is an approximately 20.5-hour flight. Traveling from London to Maseru, you'll lose 2 hours due to the time zone difference. In September, daily temperatures in Maseru can reach 24°C, while at night they dip to 15°C. Finish up your sightseeing early on the 26th (Tue) so you can travel back home.